What are you doing with this photo? 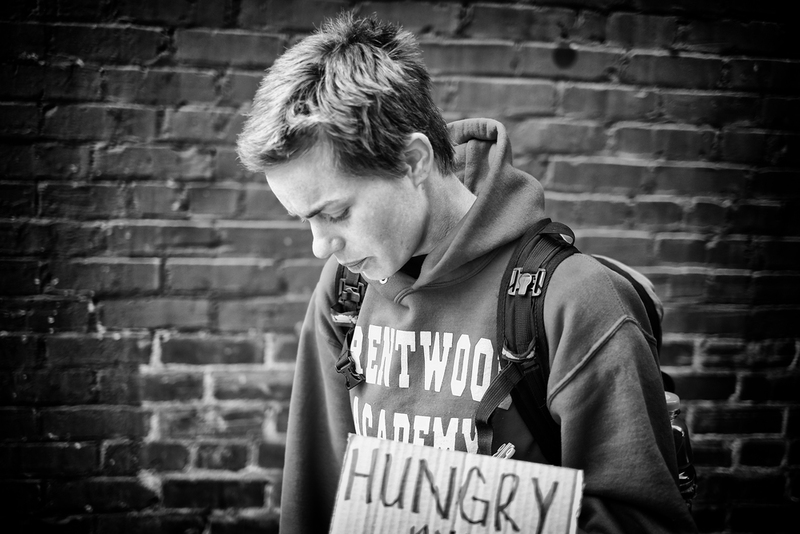 As I was walking down the street I could not help but to notice this young girl holding a sign stating that she was hungry. As I snapped a shot she said, "Are you trying to exploit the homeless?" I said, "No." She told me that too many people make fun of the homeless. I told her I was not doing that. You know, we come in contact with so many people and if we only knew each of their stories we would probably have a totally different outlook on everything we do.